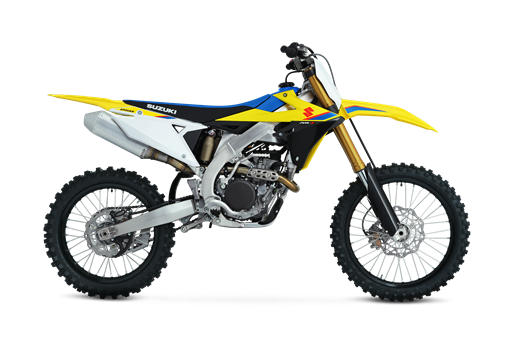 Suzuki’s tradition of building championship winning, high performance motocross machines takes the next step forward with the pre-announcement of the all-new, 2019 RM-Z250. Designed to move it to the head of the 250 class, this all-new stunner features a long list of enhancements and performance improvements. Preliminary information on this new motorcycle is available now with further product details and specifications set to be announced at a later date. Styling Design - New styling from the championship caliber RM-Z450. RM-Z250 Feature Detail - Further information will be available at a later date. RM-Z250 Specifications - Further information will be available at a later time.